The High School has its own audio station - High School Radio, featuring exciting pupil performances. There you will hear some music; (classical, traditional and pop); some discussion (podcasts) and some speeches. Click on the image to the left and visit High School radio today! 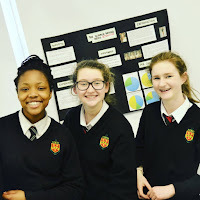 On Monday 14 March, Form 2 took part in a science investigation competition. 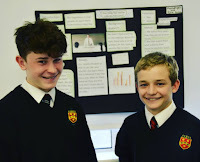 They had to carry out their own scientific investigation and present their findings to external judges, Anne Lynch from Scifest and Dr Philip Matthews, who was one of our governors until he recently retired. First prize was won by Katie Maria O'Brien, Katie Larkin and Clara Lee for their project 'Chewing Gum'. 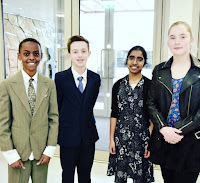 Joint second prizes were awarded to Debbie Oduntan (Effect of chemicals on hair), Enya Mak (Sound) and Chloe Holmes (Effects of fertilisers on soil). their enthusiasm and time. Well done to all Form 2 pupils for their effort. High School Junior Boys are Leinster Badminton Champions! 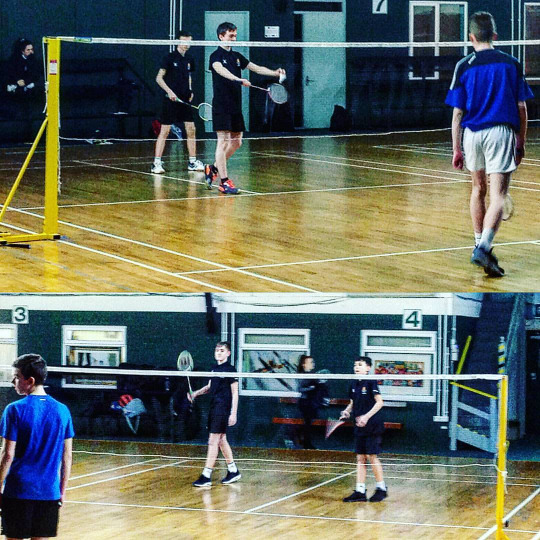 Congratulations to The High School Junior Boys' Badminton team - consisting of Ethan Gernon, Thomas Kelly, Alexander O'Connor, and Adam Vaughan - who have won the Leinster U16 Schools championship. 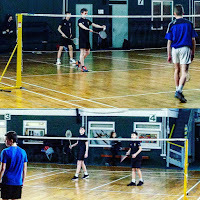 The Leinster Final took place on Tuesday 1 March in the National Badminton Centre, Baldoyle. 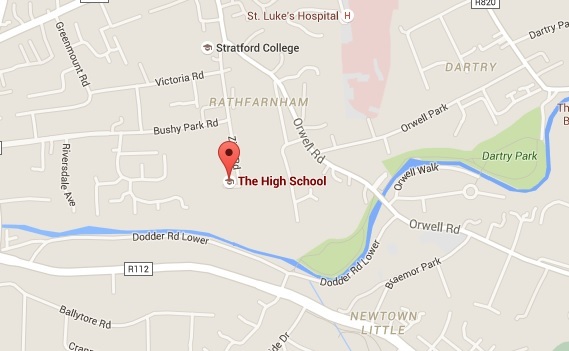 There was a round robin of 4 schools, each representing areas of Leinster. The HIgh School were representing Dublin, having won the Dublin championships before the mid term. We played De la Salle Carlow, Killina College Offaly and Killucan College Westmeath and beat them all 5-1. 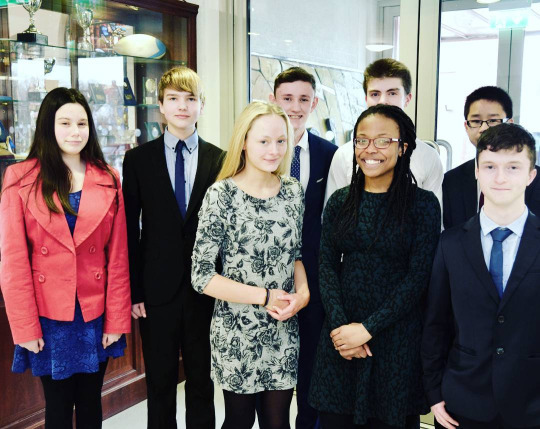 We congratulate our pupils on this significant achievement and wish them every success in future competitions. On Saturday 5 March, members of The High School Orchestra gathered in Wesley College to compete in the Inter-Schools Music Festival. 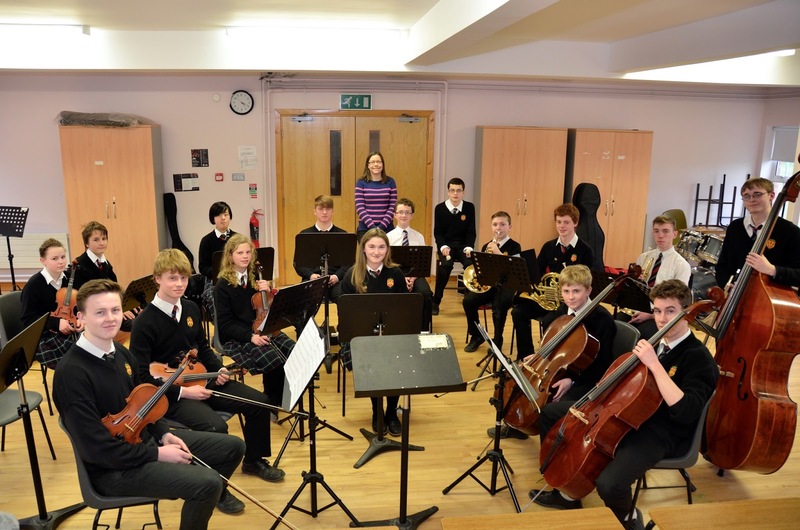 As we were the penultimate performers in the Second Level Orchestra Competition, we had a long wait, but eventually our time came to take to the stage. We performed an arrangement of the Downton Abbey Suite by John Lunn, a piece which we feel perfectly strikes the balance between classical and popular music. There was a nervous silence as we awaited the result, but we were ecstatic to learn that we had been awarded first prize. The High School was presented with the Keveney Cup for the first time since 2012. We should like to thank our conductor, Ms. Rothwell and Ms Bourke and Mrs Hutchinson-Edgar for all their help and support. We hope that the orchestra will continue to build on this achievement in the months and years to come. 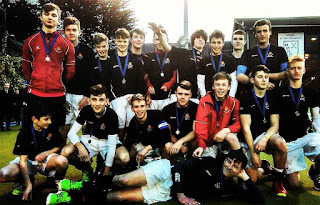 The High School Senior boys’ team were victorious with a 3-1 scoreline in the Senior Trophy. The first half went end to end with no goals accrued but The High School soon made amends in the second period. Following a super baseline run, the ball was worked back to Jake Pillow who calmly finished off for 1-0. Conor Empey’s powerful drag-flick made it 2 before James Coman got on the end of some excellent work by Will Anderson and Peter Lynch down the left baseline to dodge out of a few tackles, setting up the chance. Mount Temple pulled one back late in the game but The High School were well set at 3-1 for the trophy. 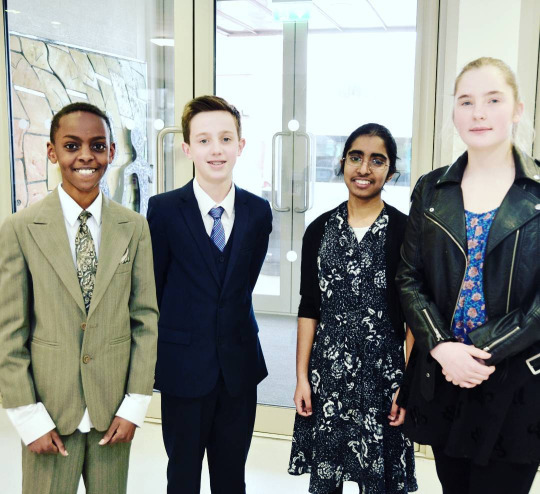 Congratulations to Luke Kehoe-Roche from Form 6 who was awarded first prize in the Senior Violin category at the Feis Ceoil festival which is widely regarded as the premier music competition in Ireland; recent past pupil Claire Austen (HSD, 2009-2015) was awarded second prize in the same category. Clara Lee frm Form 2 was Highly commended in the Junior Violin Competition and 2nd in the Rhoda Coghill Cup duet competition in the Feis Ceoil. Fiachra de hOra came 2nd in the St. Cecilia Cup competition and Highly Commended in the Terry O’Connor Trophy. Nathan Timmins, also Form 2, was commended in the Junior French Horn Competition. Rachel Low Form 1, was commended for Pianoforte solo and Very Highly Commended for Rhona Marshall Cup ( piano repertoire), following the Finals. 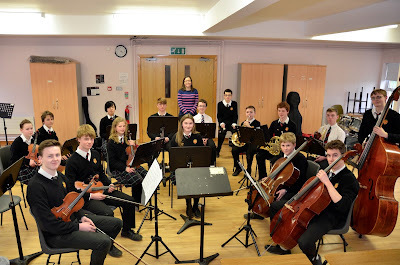 To hear a sample of pupil musicianship, please click here. We wish our current and immediate past pupil every success in future competitions. 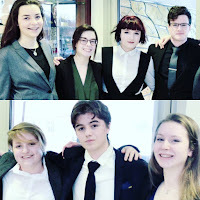 On 26 -27 February, three teams of High School pupils took part in Wesley College Dublin's Model United Nations (WCDMUN). It was the final conference of the year for our school and was met with great enthusiasm by all. 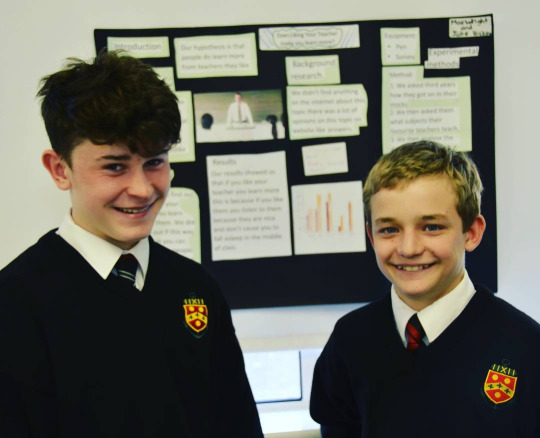 We had all spent weeks in advance researching our countries and the topics we were going to debate, as well as writing up resolutions with plans to solve world issues such as the migrant crisis in Europe. 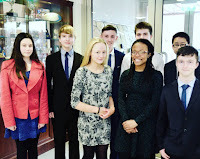 The conference itself was a complete success, with High School pupils winning awards for their debating and research skills. Everyone thorough enjoyed themselves and we can't wait for the next conference to come around. On Monday morning we attended a talk on 1916 by former High School pupil Cuan Ó Seireadáin who is coordinator of Conradh na Gaeilge’s 2016 Commemoration Programme. The presentation was given entirely through Irish and while this made it a little more difficult to understand than usual, it seemed a fitting tribute to The Rising. The main focus of the talk was on the characters and cultural nuances surrounding The Rising. Information was provided on The Gaelic League, the role of women in The Rising, Pearse's vision for Ireland and the effect The Rising had on Ireland in the immediate aftermath. The characters of The Rising were brought to life in our eyes and the talk gave us a clearer understanding of its cultural significance. We would like to thank Mr Ó Seireadáin for his visit and informative talk.